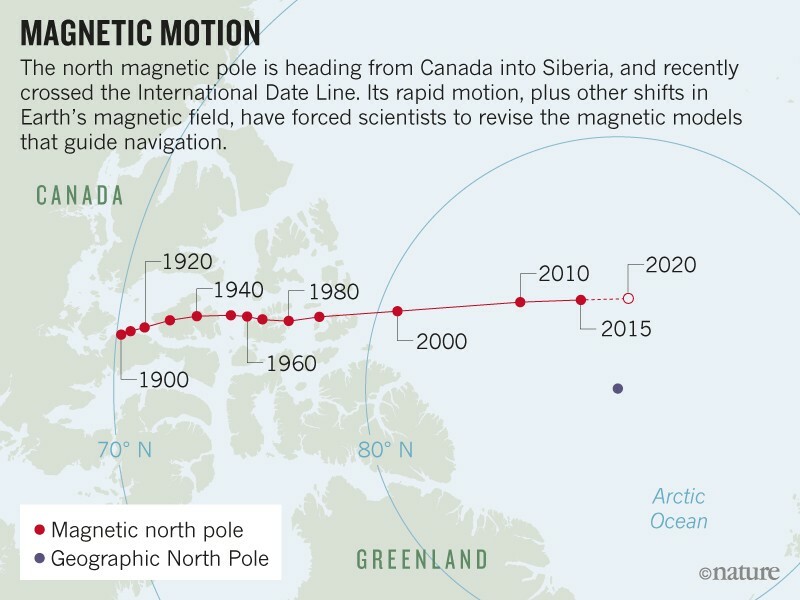 Source: World Data Center for Geomagnetism/Kyoto Univ. Which means that the world’s geomagnetists will have a lot to keep them busy for the foreseeable future. Aubert, J. Geophys. J. Int. 214, 531–547 (2018). Livermore, P. W., Hollerbach, R. & Finlay, C. C. Nature Geosci. 10, 62–68 (2017).